Advent Memorials: Give a gift, any gift, as a memorial or honorarium this Advent season. These gifts will help the church replace and augment Advent and Christmas decorations. Submission forms are available around the church. Or you can contact Joan Daughtry (joan@firstprez.com) to make your gift. Click and slide the “Frequency” bar to the right or left to find other options, such as monthly, every two weeks, and twice a month. 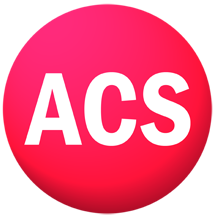 Click the button above for the ACCESS ACS login page, your gateway to the church directory and your records. THE FLOWER FUND for flowers in the Sanctuary is running low and donations of any amount will be greatly appreciated. The Flower Fund provides fresh decor whenever no specific honorarium or memorial is requested and provided. The congregation and friends are also asked to consider providing flowers for Sunday worship as a memorial or honorarium. During our Generations of Generosity stewardship focus we want to tell the stories of how the generations have blessed each other at First Presbyterian Church with the love of God. Click on the links below to hear the stories of our people! Pledge cards are available around the church. Brochures on Stewardship are available throughout the church. Be sure to get your copy! You can also send your pledge in by email. Just contact Joan Daughtry at joan@firstprez.com.